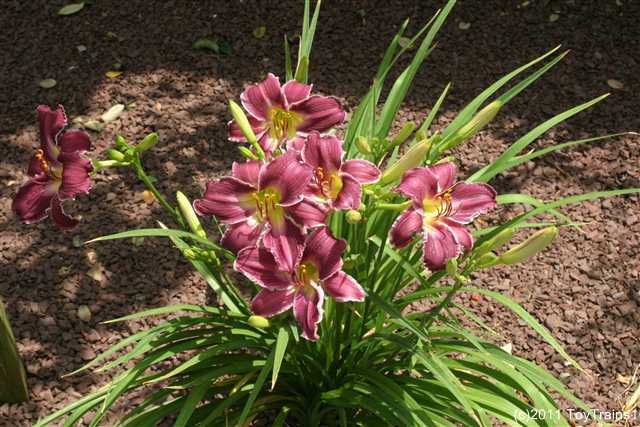 In early May 2011, I gave up trying to grow a rose in the spot formerly occupied by Brigadoon. 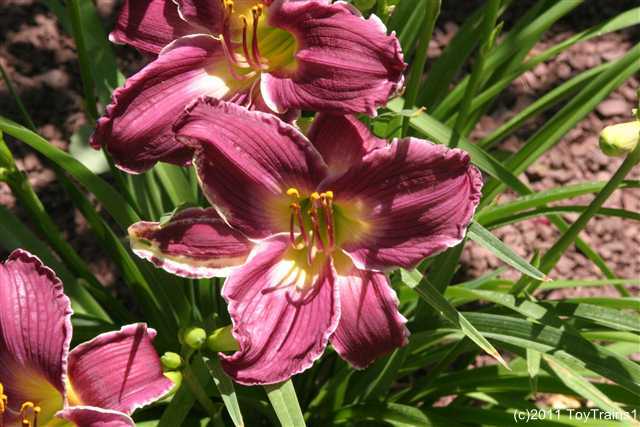 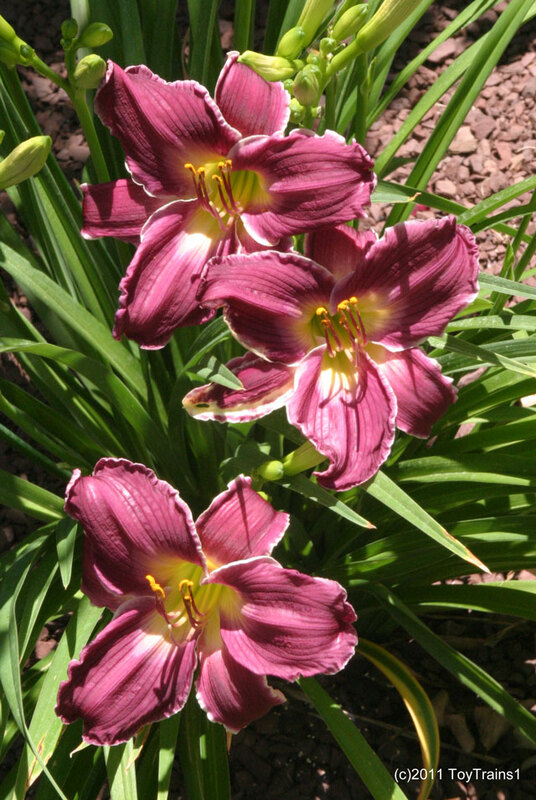 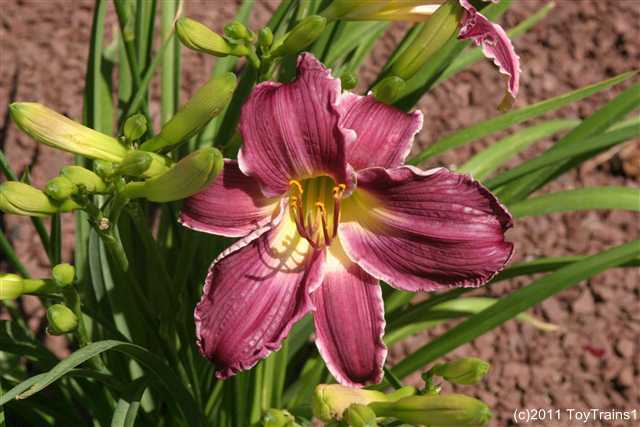 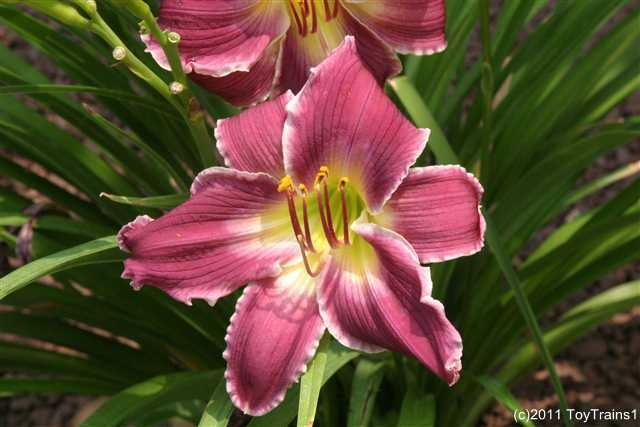 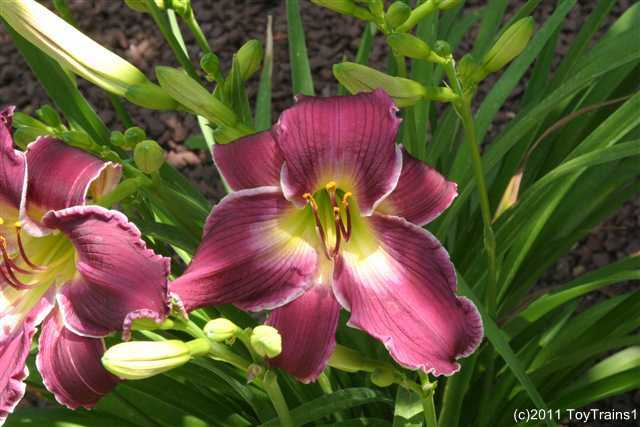 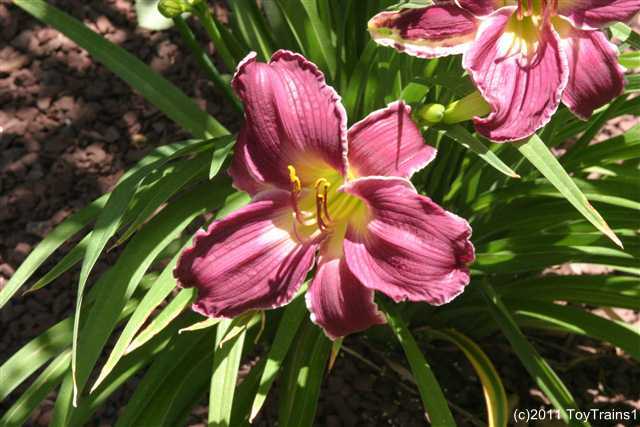 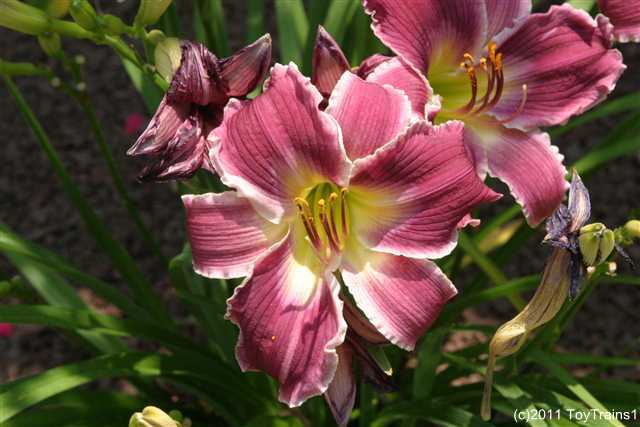 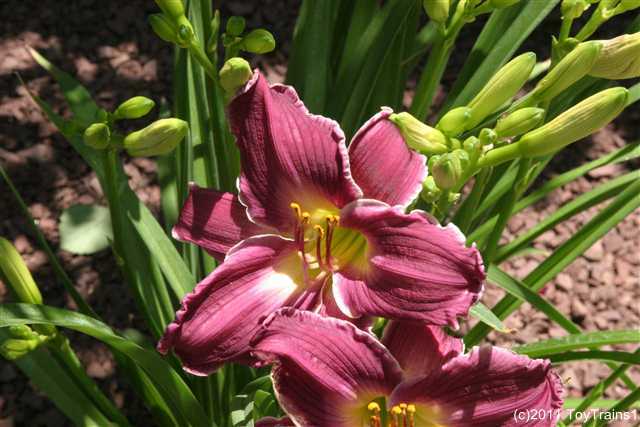 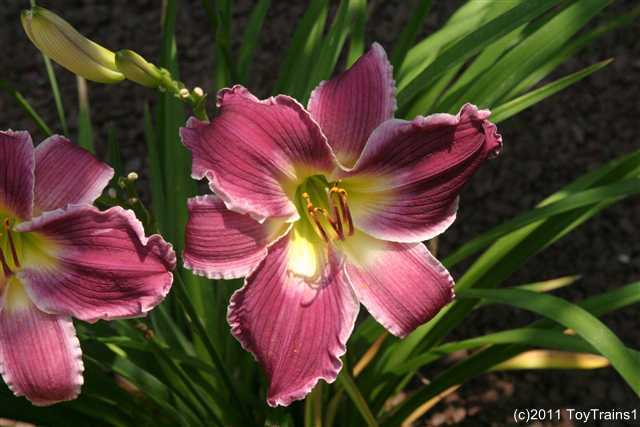 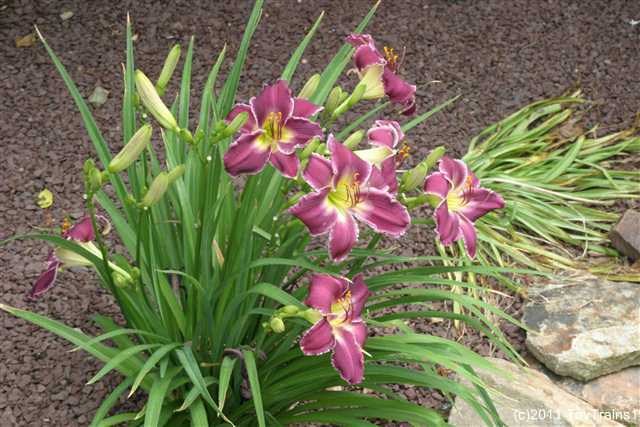 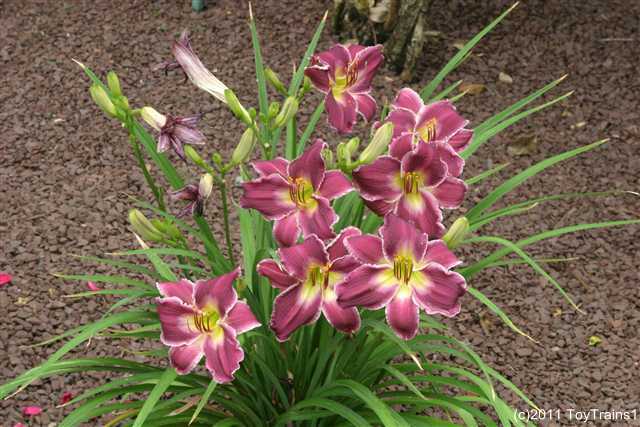 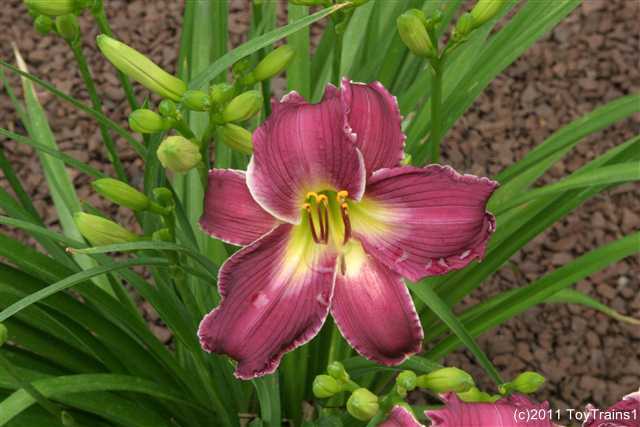 Instead, since the spot is next to the daylily Plum Perfect, which has thrived, I went to the nursery and got another daylily. 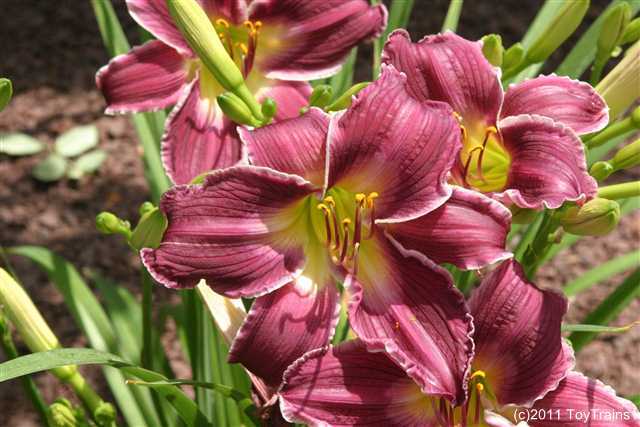 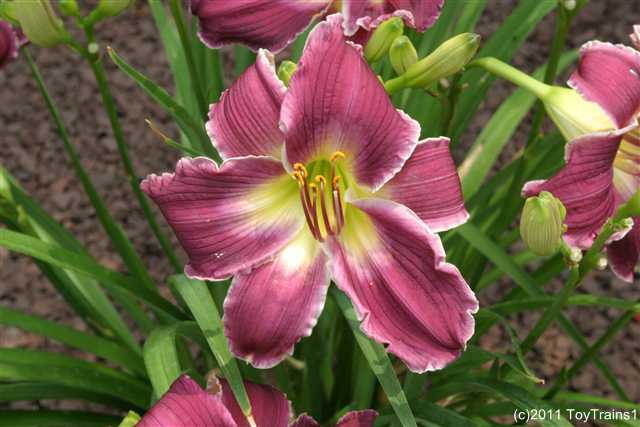 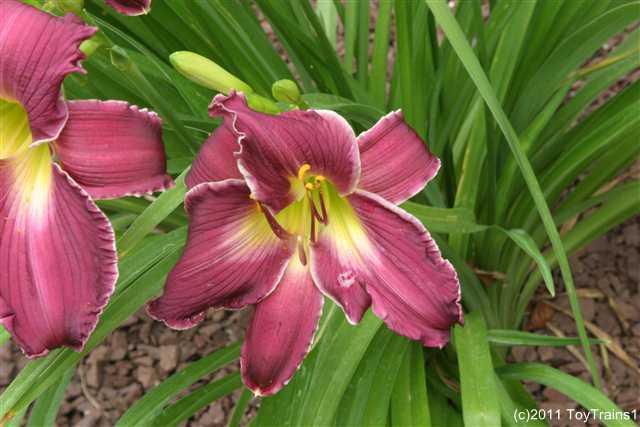 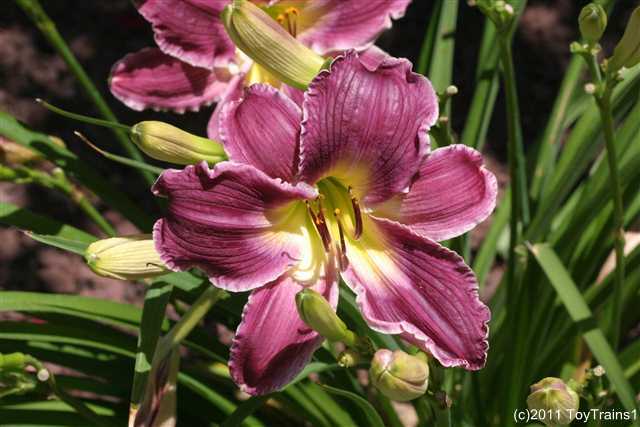 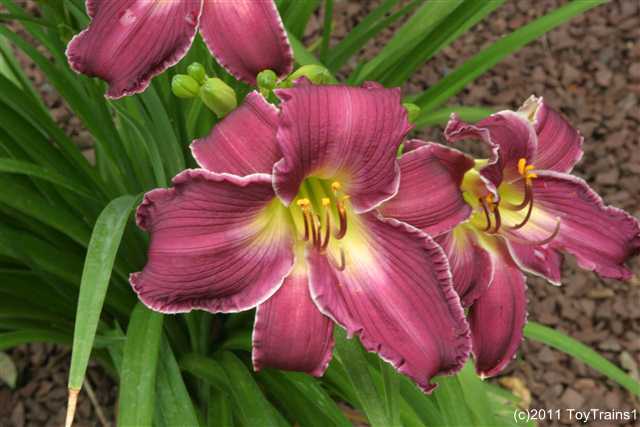 This one is Indian Giver, which also has flowers in the purple range, though different from Plum Perfect. 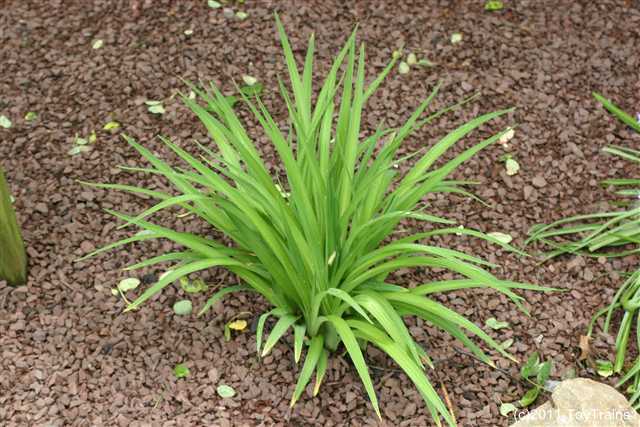 It's a nice healthy specimen, and here it is just after planting. 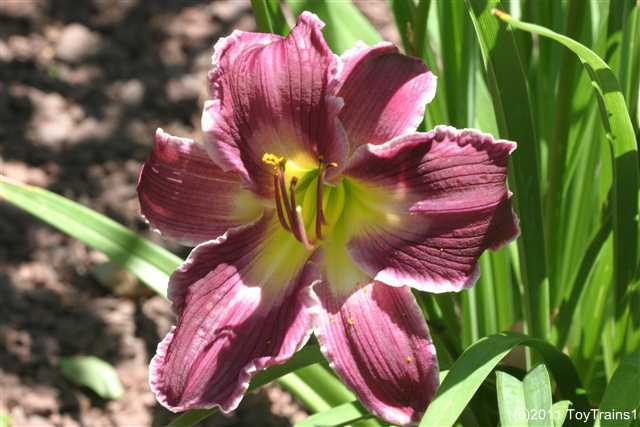 Fast forward to the end of June and Indian Giver is getting ready to bloom. 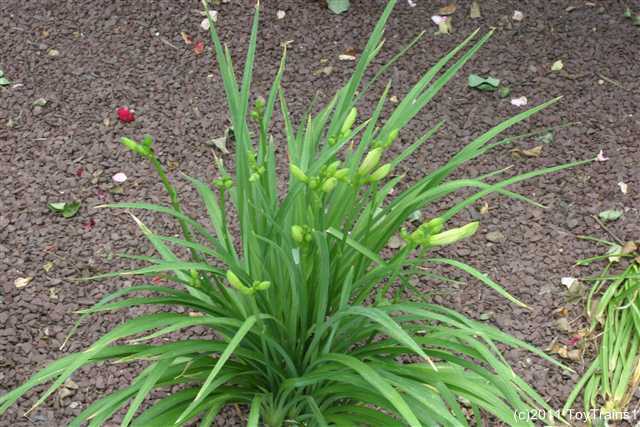 And one day later! 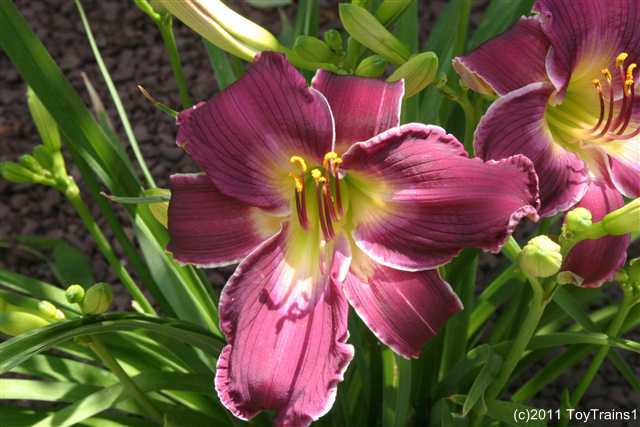 While similar to Plum Perfect, it has a green interior instead of yellow and has white margins on the petals. 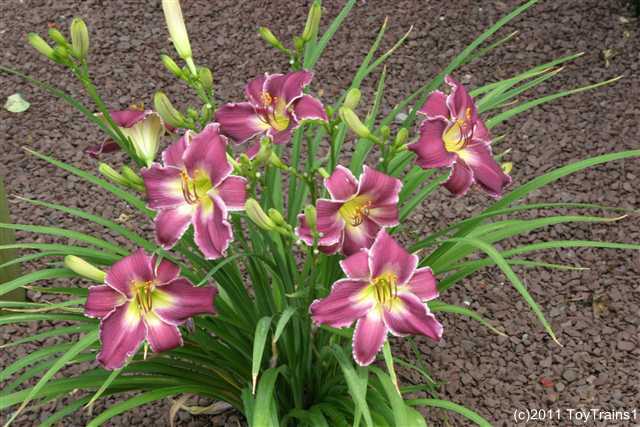 Indian Giver is turning out to be quite floriferous! 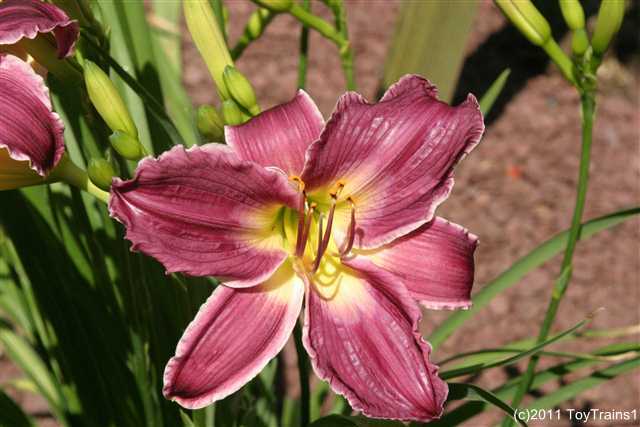 We're almost into the middle of July and Indian Giver is going strong. 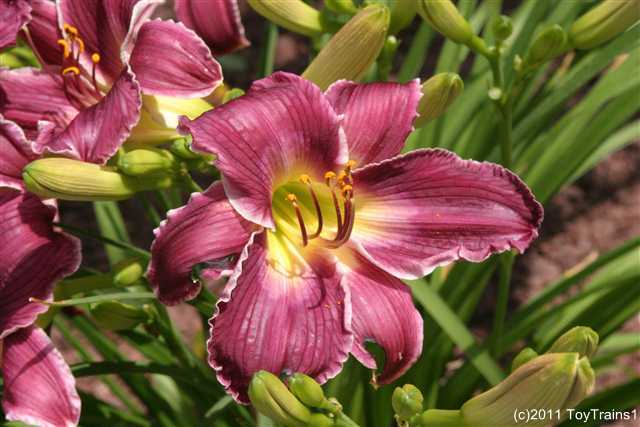 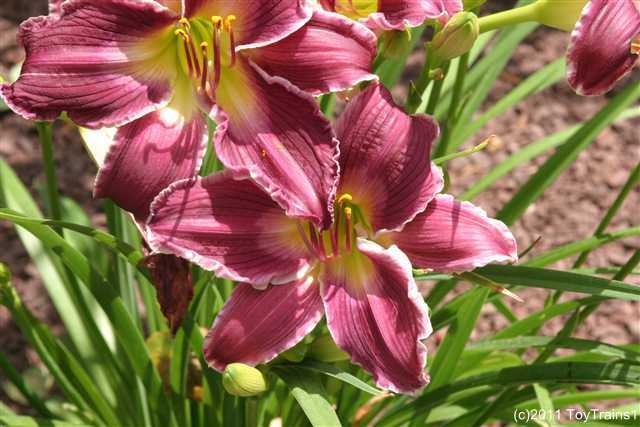 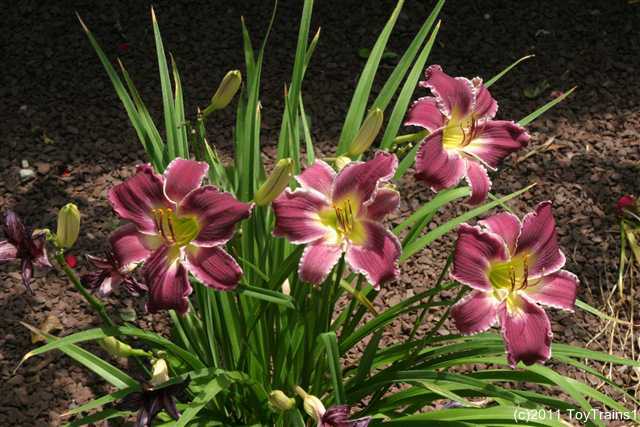 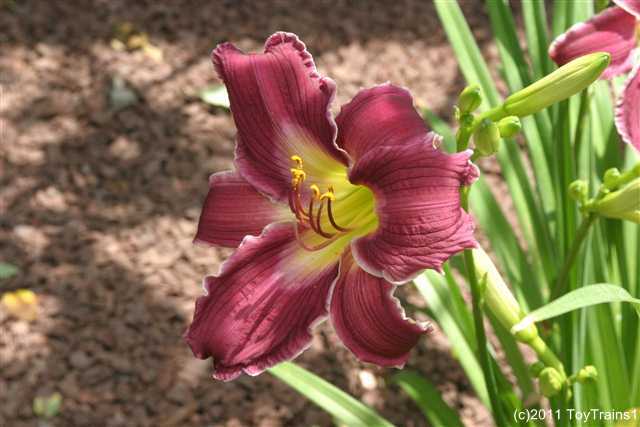 I'm quite impressed by this daylily!